The Jeep Wrangler Overland is perfect for those craving travel and adventure. 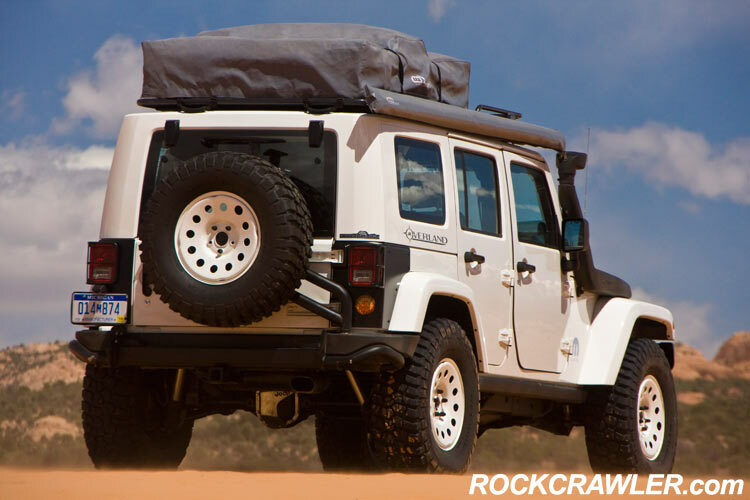 Taking a 2009 Jeep Wrangler Rubicon Unlimited four-door, the Mopar Underground team turned the vehicle into a mobile “on-the-go” self-contained campsite. To increase cargo capacity for hauling gear, the Jeep Wrangler Overland’s rear seats were replaced with a large, flat, rubberized utility floor. Mounted to the cargo rack is an all-new ARB two-person Simpson II rooftop-mounted tent and touring awning. The interior of the Jeep Wrangler Overland features water-resistant Mopar front-seat covers, rugged Mopar slush mats and a Daystar dash bin and lower switch panel. Helping to enhance off-road travel is a new Mopar 2.5-inch suspension lift. A full-traction rear sway bar was added, allowing the addition of aggressive 35-inch tires mounted on 17-inch steel Mopar winter/off-road wheels. Additional off-road protection at the front and rear is provided by American Expedition Vehicles’ steel bumpers and for added security a Warn 9.5ti winch. 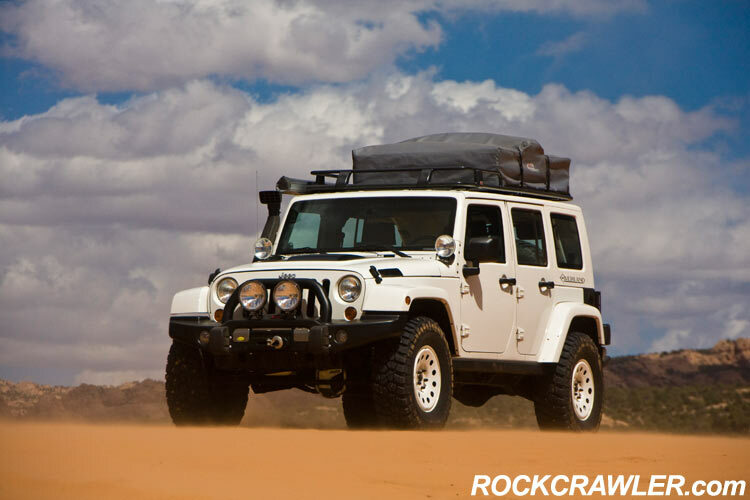 In order to prepare the Jeep Wrangler Overland for desert duty, an American Expedition Vehicles (AEV) Jeep Wrangler heat-reduction hood and snorkel kit is fitted to the vehicle. Mopar windshield-mounted off-road lights and Daystar bumper-mounted lights provide additional lighting for nighttime and off-road driving.